Solea represents Simone Lamsma for general management. Notable recent highlights include her debut with the New York Philharmonic under Jaap van Zweden, or with the Chicago Symphony, described by the Chicago Tribune as “piercingly beautiful”, as well as return invitations to the Cleveland Orchestra, Cincinnati Symphony, Royal Concertgebouw Orchestra, debuts with the Royal Stockholm Philharmonic, Houston Symphony, National Symphony Orchestra Oslo Philharmonic, San Francisco Symphony, Iceland Symphony Orchestra, Yomiuri Nippon Symphony, Hessischer Rundfunk Orchester and Orchestre Philharmonique de Radio France. Simone has been a guest of orchestras like the London Symphony Orchestra, Rotterdam Philharmonic, BBC Philharmonic, Seoul Philharmonic, Rundfunk, Orchestra Sinfonica Nazionale della RAI, RTVE Symphony, New Zealand Symphony. 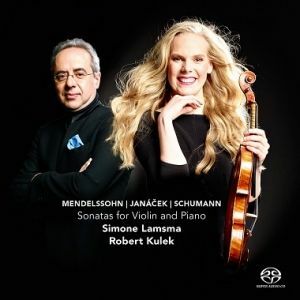 Besides her close collaboration with Jaap van Zweden, Simone has worked with many other eminent conductors including Vladimir Jurowski, Sir Neville Marriner, Yannick Nézet-Séguin, François-Xavier Roth, Karina Canellakis, Jukka-Pekka Saraste, James Gaffigan, Sir Andrew Davis, Andrès Orozco-Estrada, Marek Janowski, Carlos Kalmar, Kirill Karabits, Stéphane Denève, Hannu Lintu, Yan Pascal Tortelier, Fabien Gabel, Mark Wigglesworth and James Feddeck. 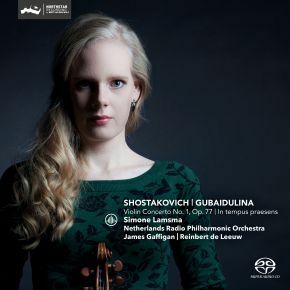 In 2017 Simone’s most recent recording featuring Shostakovich’s first violin concerto and Gubaidulina’s In Tempus praesens with the Netherlands Radio Philharmonic under James Gaffigan and Reinbert de Leeuw was released on Challenge Classics and received high accolades from the press, as did her previous Mendelssohn, Janáček and Schumann CD with pianist Robert Kulek. In addition to her many international prizes and distinctions, Simone was awarded the national Dutch VSCD Classical Music Prize in the category ‘New Generation Musicians’ in 2010, awarded by the Association of Dutch Theatres and Concert Halls to artists that have made remarkable and valuable contributions to the Dutch classical music scene.